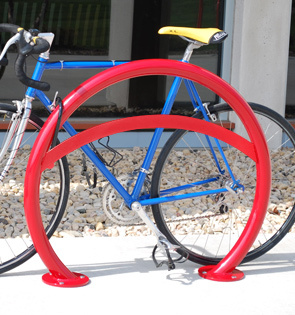 Encourage the community to adopt a healthy lifestyle by installing these attractive Orion™ bike racks in convenient locations throughout the city. These bike racks are capable of holding two bikes with the option to mount at front and rear wheel. The lean bar keeps the bike aligned vertically by providing extra support for the front wheel. The 2-3/8" round tubing bike racks are available in a Galvanized, Powder-Coated, and Electro Polished Stainless Steel finish. 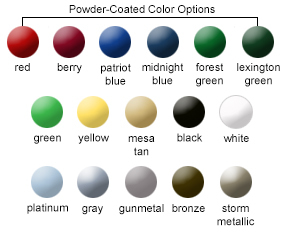 Powder-Coated color options are available as shown. Available with round flanges. Drop In Anchors available for concrete installation.